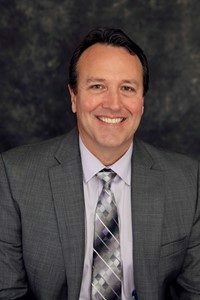 Dr. Jim Flynn, superintendent of the Simpson County Schools, will officially begin his duties as the new executive director of KASS on July 1, 2019. The Executive Committee will negotiate a contract between KASS and Dr. Flynn for ratification at our December business meeting. A veteran educator and leader, Dr. Jim Flynn is in his 16th year as superintendent of Simpson County Schools where he has instilled a common vision for empowering all students to graduate life ready – prepared both socially and academically for college and/or careers. Recipient of the 2015 Kentucky Superintendent of the Year Award, Dr. Flynn is a statewide leader having served as President of the Kentucky Association of School Superintendents and appointed by Kentucky General Assembly to the Local Superintendents Advisory Council. Dr. Flynn’s national leadership includes AASA, NSBA, the National Superintendents Leadership Institute and the BellSouth Superintendents Leadership Network to name a few. Additionally, he has presented to international audiences in Finland and China where he shared Kentucky’s educational achievements and benchmarked best practices. Superintendent Flynn is also active in his local community serving on both the Franklin-Simpson Chamber of Commerce and the Franklin-Simpson Industrial Authority Board of Directors. Additionally, he is an active board member with the Green River Regional Educational Cooperative. At Western Kentucky University, Dr. Flynn serves in the Department of Educational Administration, Leadership & Research in the College of Education and Behavioral Sciences and the Center for Leadership Excellence in the Gordon Ford College of Business. He is a graduate of Western Kentucky University, earning his Bachelor of Science degree along with his Rank I in School Administration and superintendent certification. He received his Master of Science degree from Texas A&M University at Corpus Christi and his Doctoral degree from Northern Kentucky University. He is married to Natalie, who is a teacher at Briarwood Elementary. They have three children, Bracken (Rice University graduate), Hunter (Western Kentucky University graduate), and Bretton (10th grade). He resides in Franklin, Kentucky with his wife and daughter. The KASS Board looks forward to working closely with Dr. Flynn on behalf of the children of Kentucky.